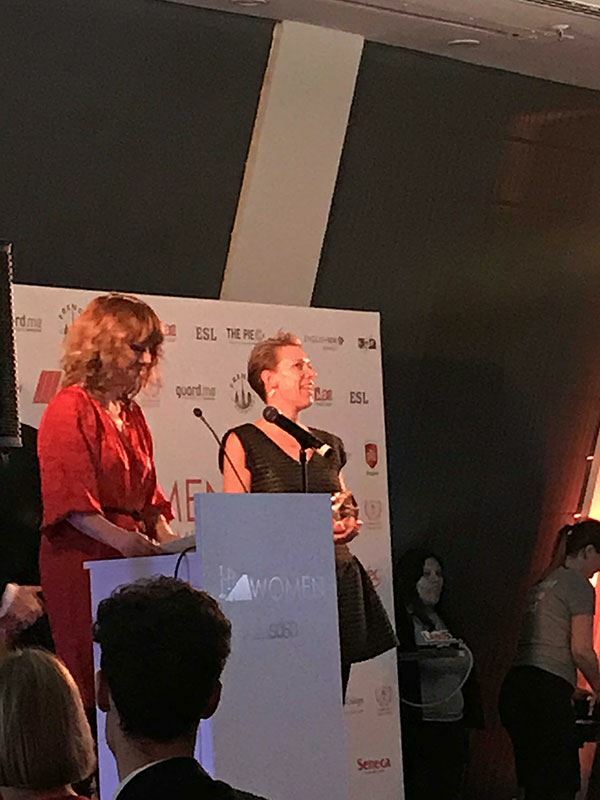 As a recently recruited Global Leadership League member from the UK, I was extremely happy to attend an awards event created by another women’s leadership organization in our field. Thanks to my employer, Flywire and the Global Leadership League for supporting me to attend this event on their behalf. The awards event was created by Lead5050, an organisation promoting the empowerment and leadership skills for women in education. 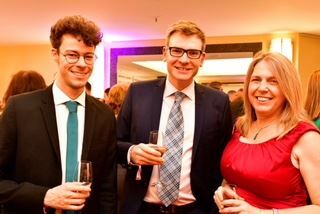 They held their inaugural WIE Awards on Saturday 28th October at the InterContinental Hotel in Berlin, prior to the beginning of ICEF Education Fair. To give League members a bit of background, I met Cynthia Banks, Martha Johnson and Sarah Spencer at the PIEoneer Awards in London, where the League won the PIEoneer of the Year award. Impressed by all that the organisation stood for and the work they have done, I was keen to sign up. 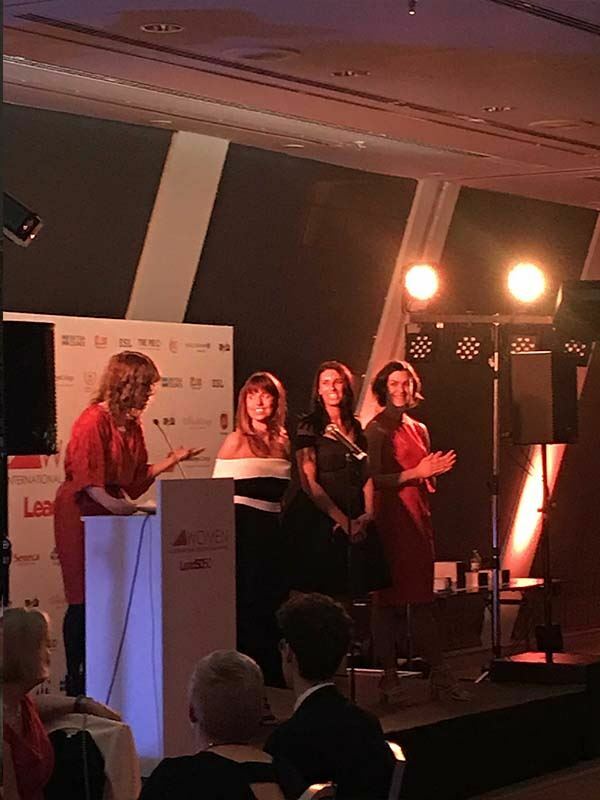 I also wanted to connect the League with Lead5050, set up by Leanne Linacre, Ella Tyler & Maria Castro, three successful business owners in Europe. Lead5050 was established to bring together women working in education to celebrate their successes, qualities and achievements. They also want to acknowledge sexism and biased behaviour that occurs in order to try and make positive change for all who work in education. It was wonderful to see women coming together all over the world and creating space to discuss these important issues. The Global Leadership League and Lead5050 are leading the way! The WIE (Women in Education) Awards evening had an air of celebration, glamour and good spirit, with a very healthy dose of authenticity. Individuals, company cultures and initiatives were honoured and celebrated in the name of equality and empowerment. My personal highlights were catching up with old friends, including Amy Baker, Managing Director and co-founder of PIE News, and WIE Awards winner in Business Owner/MD of the Year. With such inspiring company, I was honoured to meet (and dance with!) Nancy Paiva and her colleague Grace from iDTech, who ensures almost 30, 000 female students each year attend STEM/computer science programmes. Anke Menkhorst, CEO, ESL Languages, shared her fascinating career history that included changes in industry and countries. Lead5050 continued their focus on women in education and equality at the ICEF Registration & Seminar day. Their session, Gender Equality in Our Industry, and hosted by comedian and commentator, Katie Puckrik, gave the panel of six an opportunity to discuss pertinent questions on equality. This was a rather more sobering affair. Casual sexism, incorrect use of language, and unequal representation of women in leadership roles were topics that arose. It was also acknowledged that even the term feminism can be tough for all women to use! But we must! For the record, Definition of Feminism: the advocacy of women's rights on the ground of the equality of the sexes. So, not that radical really. Just fair. For me this suggests this conclusion. Our fertility years are our working years, we literally have to do the two at the same time, therefore parenting responsibilities (and that includes organising childcare, as well as doing it!) really cannot be primarily down to women. If it is seen as “the Mom’s job”, it will be difficult to have the energy or gumption to lean in, as Sheryl Sandberg advises, and therefore for women’s careers not to suffer by having children. But lean in, we must, for equality to prevail. Germaine Broadbent is a Relationship Manager for Flywire. Based in UK, she has worked in International Education for almost twenty years.